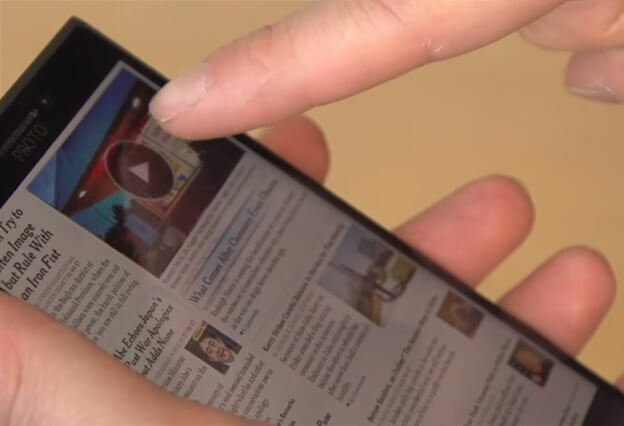 Windows phones could soon come to the market with intelligent screens with ability of recognition of your fingers. Scientists at Microsoft Research wants to bring another interesting feature for smartphones that is reminiscent of the gestural control system with Kinect. Thanks to their innovation in the development for touch screens called “pre-touch sensing”, the phone can “see” the user’s fingers until they are above the screen, it opens up a whole range of new possibilities for managing applications, as you can see in this video. Thanks to this system, your phone among other things, will know how you are holding it, and can predict interactions based on orientation, so it will know how you are hold him in one or two hands, how many fingers are included, and how far you are from the screen. In addition, Microsoft has demonstrated how “pre-touch sensing” in similarly way can be used in creative applications such as Office, but also in games, so you can see that is now possible in a football app to hit the ball without touching the screen, really cool right? This means that on your smartphone screen will be less dabs of fingers greasy kebabs, while at the same time you will get even more possibilities for interaction. “I believe there is great potential for the future of mobile interactions,” said Ken Hinckley, Microsoft Research scientist and leader of the project. “I say this as one of the first people who are able to research the possibilities of sensors on mobile phones, including the omnipresent ability to feel and autorotation screen orientation”. It is not known when Microsoft will imbed into a phones that will be available on the market, but we believe that we will not have to wait too long, and maybe they sale patent to other Android and iOS manufacturers.